Nepal is not just about mountains and trekking. There are many places to see and things to do here that don’t involve exerting yourself too much! Home to many World Heritage sites, beautiful scenery, historic towns and villages, fascinating culture, this trip will give you a good introduction to the diversity that Nepal has to offer. Starting in Kathmandu, you visit some of the World Heritage Sites and explore the rich cultural heritage of the Kathmandu Valley in Bhaktapur and Panauti, a beautiful medieval town in the Kathmandu Valley. You stay at a monastery where you can join the monks in their rituals. Staying in a Tharu village in Chitwan, you go on a jungle safari and if you are very lucky, you might even see a tiger! You break your journey in another beautiful old Newar town, Bandipur, where you have time to sit back and admire the Himalayan range before you. Finally, you spend a few days in Pokhara before returning to Kathmandu where your trip is complete. 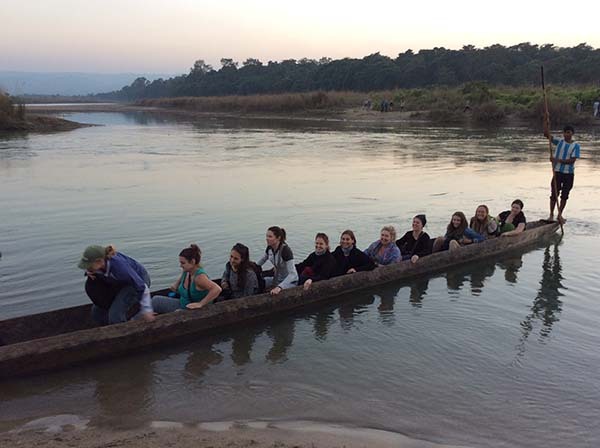 02 Night and 03 Days package program of Barahi Jungle Lodge including accommodation, 3 meals per day, jungle activities such as elephant ride, jungle walk, elephant washing, village walking tours, cultural dance program, bird watching tours and entrance fees to Chitwan National Park. Arriving at Tribhuwan International Airport is an experience in itself. Don’t let it put you off, as our airport representative will be waiting to welcome you with your name written on a placard. Depending on traffic, the drive to your hotel takes about 20-30 minutes. 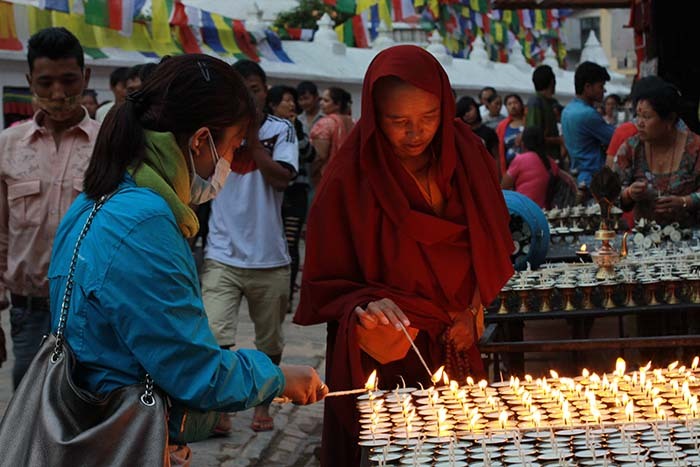 Starting in Boudhanath, you will visit the largest Buddhist stupa in Asia which is the hub of Tibetan culture in Nepal. 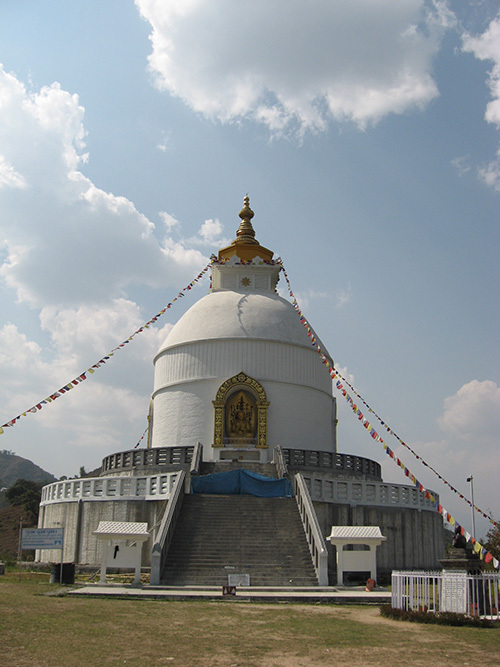 The 36-meter high stupa is one of the largest stupas in South Asia. It was built on the site where ancient Tibetan merchants used to rest and offer prayers over the centuries and formed a kingdom within a kingdom. You are taken to Panauti, another medieval town where you have lunch with a local family before being taken to explore the beautiful authentic old town. Surrounded by sacred rivers, this is the birthplace of a number of legendary figures. It is famous for its 40 temples and 28 festivals that are celebrated throughout the year. Panauti’s temples are dedicated to various deities can be seen scattered around the small old town. You will be taken to see Indreshwar Mahadev Temple – Panauti’s most famous temple. Panauti is rich in Newari culture and although many of its festivals are similar to those celebrated in Kathmandu, others are unique with a completely local character. Patan Durbar Square: Patan City is surrounded by a fascinating array of temples, built in various architectural manners. 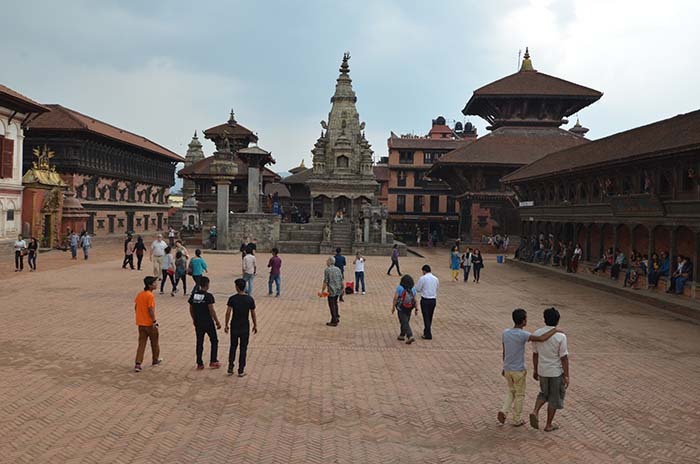 Patan Durbar Square is a home of numerous temples like Krishna Mandir, Bhimsen Mandir, Taleju Bell, Bhai Dega and much more, which also display that Gods and Humans have always lived with each other since long-long time ago. All the temples are decorated with masterpiece handicrafts, and according to the Newari architecture. The City is built on Newari cultural perspectives, thus, the city holds the utter pride of Newar history. Most of the monuments of the city belong to the medieval Malla period, from 15 to 17 centuries. Golden Gate & Golden Window from the old palaces, traditional metal craft, Krishna Mandir famed in 21 Golden Pinnacles, the Royal Bath of Sundari Chowk, the Royal Taleju Temple, Vishwa Narayan (Bishnu) Temple are the some of the finest examples of unique craftsmanship, and faith of the locals to the Gods projected in the wood. The temple of Bhimsen and its magnificent golden balcony overlooking the backdoor of the temple also includes any other shrines & sculptures scattered in and around the square. 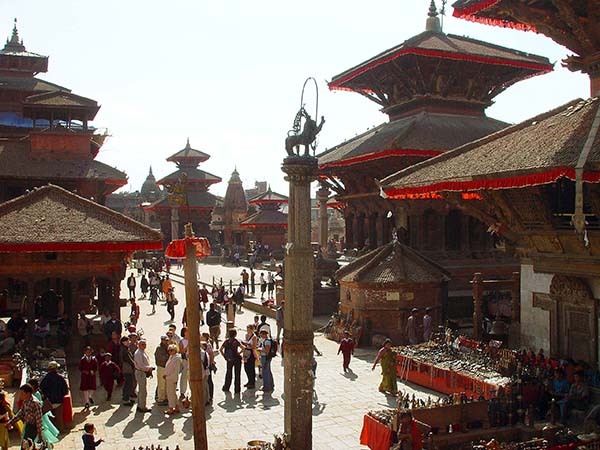 After completing a sightseeing tour of Patan Durbar Square, we shall drive to Pharping, south of the Kathmandu Valley. Just above Pharphing, Neydo Monastery – a Tibetan Style monastery – is a home to 140 monks from India & Nepal, combined. The present Karma Charme is the seventh reincarnation figure of the Lama of the unique Neydo Kagyu tradition, which also follows the Nyingma Lineage Tibetan Buddhism. The Neydo Rinponche Monastery guest house provides accommodation in comfortable, well-appointed rooms (all with private bath, kettle to make tea/coffee, private balcony). Further, wide balconies provide stunning views across the valley and the monastery has elegant, comfortable sitting area – a lovely place to think, relax and to read – and excellent meals are guaranteed in the dining room. Your lodge sits on a ridge in the middle of forested hills that slope down to the sandy beaches of the Trisuli River. 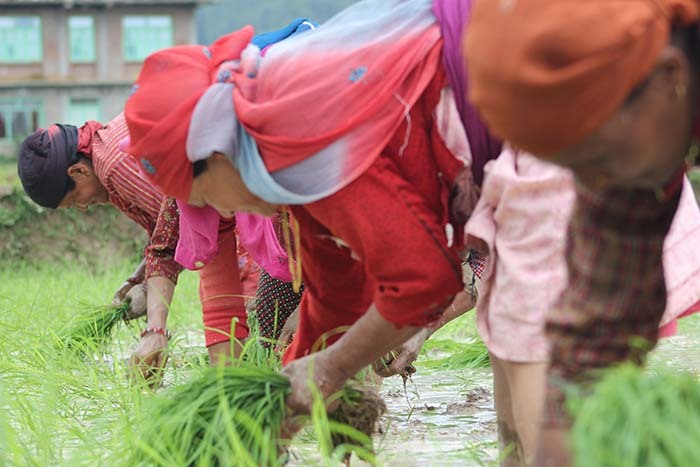 Here you can find the tiny settlements of various tribal groups like Chepang, Dorai, Magar, and some Brahman and Chettri people who eke out their subsistence from foraging in the forests, trapping the odd small animal or wildfowl, and cultivating wheat, rice, maize and vegetables. Typically animist, these people are the last of the hunter-gatherers who live in Nepal. After breakfast, you go on a guided walk in the hills behind your lodge where you can visit some of the homes of the local Chepang and Magar people. This area is very rich in birdlife and flora, with many orchids along the shady pathways. Walking back to the hotel via a lower route, you pass fields and the white sand beaches of the Trisuli River. After lunch you are driven to Barauli Jungle Lodge in Chitwan where you spend the next couple of nights. Voted as number 1 by TripAdvisor in 2017, this stylish and luxurious jungle lodge hotel offers the best of Nepali hospitality. Located close to the Rapti River in Meghauli, you see the wildlife in and around Chitwan National Park during the two days of your stay here. After a morning game drive and breakfast, you are driven to Bandipur. 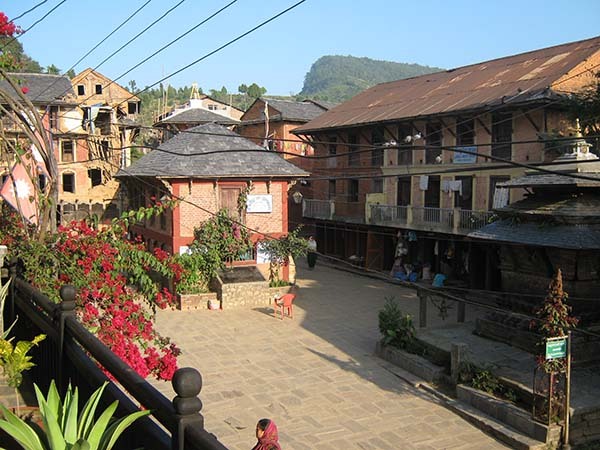 Described at a ‘living museum of Newari culture’ by Lonely Planet, Bandipur lies on a ridge about 700m above the river. An important stop for traders along the India-Tibet route in the eighteenth century, the Newars brought their cultural heritage and architecture which has remained unchanged. In the nineteenth century Bandipur was a prosperous trading centre, with its buildings that have ornate elegant neoclassical façades and wood-carved shuttered windows. Although the village suffered decline in the 1970s after the building of the Prithi Highway from Kathmandu to Pokhara, a lot of work has gone into helping restore Bandipur to its former glory. Bandipur Eco Cultural Tourism Project (BECT-Project) that is funded by EuropeAid supports Bandipur as a unique tourist destination. Now with its glorious 18th-century architecture, pedestrianized bazaar and cafes, it is a very relaxing place to chill out. As well as Padma Library that is in the heart of Bandipur bazaar, there are several temples in or close to the main bazaar, including the temple of Khadga Devi, one of the most revered in Bandipur. Only open once a year on the day of Phulpati during Dasain, the shrine does not contain any statues of gods or goddesses, but just a Khadga that is a sacred sword wrapped in layers of cloth. Bindhabasini Temple in the middle of the bazaar is constructed in the traditional pagoda style and Chandithan temple can be seen just to the west of the bazaar. Mahalaxmi Temple, to the southeast of the bazaar is medieval and also in the style of a pagoda. Then to the east of the bazaar is Narayan Temple with its statues of the god Harihar and the ten incarnations of Lord Vishnu. 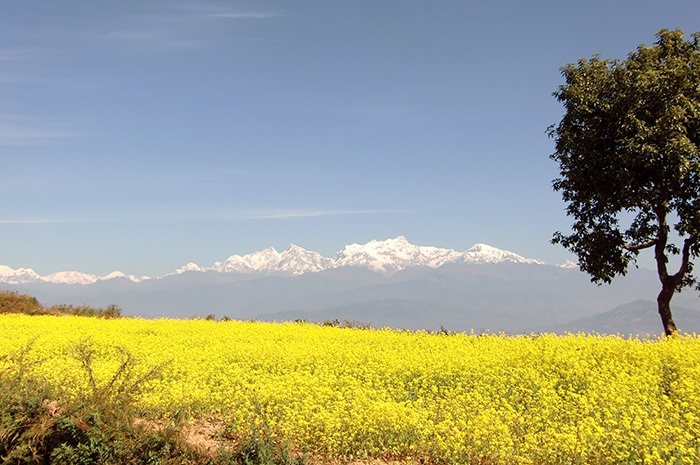 You will explore the hills around Bandipur, hiking to Ramkot. Ramkot is an easy two-hour walk west of Bandipur passing through Muchuk village. Ramkot is a typical Magar village with traditional round houses and is untouched by modern development, offering an opportunity to see the lifestyle of people in rural Nepal. If you want to go further, Chabdi Barahi is another two hours of easy hiking. Not only are there spectacular views from your hotel, but a short walk to Tundikhel gives an excellent vantage point to the north of Bandipur’s main bazaar where you can see the sun setting over the Himalayan Range including Dhaulagiri, Machhapuchhre, Langtang, Manaslu and Ganesh Himal, among others. You should be able to see the legendary Gorkha Palace and Manakamana Peak, and look down to the Marsyangdi Valley, Bimalnagar and Dumre. After breakfast at your hotel you are driven to Pokhara, about 3 hours away where you will have the rest of the day at leisure. One of the largest cities in Nepal, in area it is Nepal’s biggest, covering an area larger than Kathmandu. At an altitude of around 830m, it is famous for its beautiful lake and the mountains: the Annapurna Range with three of the ten highest mountains in the world — Dhaulagiri, Annapurna I and Manaslu are all easily seen from here. Staying at Lakeside beside Phewa Lake, this is a scenic area where there are plenty of bars, cafes, restaurants and shopping. An early start and you visit the two highest viewpoints over Pokhara and the surrounding mountains. You go first to Sarangkot (1592m) which is on the top of a hill overlooking Phewa Lake on one side and the Himalayas on the other. From here it is possible to go paragliding, flying down to Lakeside. After lunch you go boating on the lake and hike up to the World Peace Pagoda which commands a view over the lake to Sarangkot and the mountains. The pagoda was built in 1996 and is 35m high. Its 37 steps take you to its second tier where there are four Buddha faces that look out in the cardinal directions. A standing Buddha in bronze faces south, while a Sri Lankan Buddha meditates looking to the west, a Thai Buddha faces north and a Japanese Buddha looks eastwards. There are lots of things to see and do in Pokhara. There are a few museums, the most notable being the International Mountain Museum (IMM). In addition there is an ethnographical museum, Pokhara Regional Museum and Annapurna Natural History Museum with collections of flora and fauna, and butterflies. There is also the Gurkha Museum featuring the history of the Gurkha soldiers. Gurkha soldiers are still recruited here in Pokhara. You might like to go boating or take the opportunity to try out paragliding. For the fearless, you might want to have a go at Nepal’s second bungee jumping site: Water Touch Bunjee Jumping.Or if you are interested in Tibetan culture, you can take a tour of the Tibetan settlements with a Tibetan guide. You have the rest of the day free. You might like to try out one of the many cooking classes or workshops on offer, go for some more sightseeing or do some last minute shopping. In the evening we will gather for our farewell dinner at the Krishnarpana Restaurant in the exclusive and luxury Dwarika’s Hotel. Here we will be served a special 6-course Newar dinner. This is a not to be missed experience from the moment you enter the authentic and stylish hall to the moment when you depart, a farewell gift in hand.